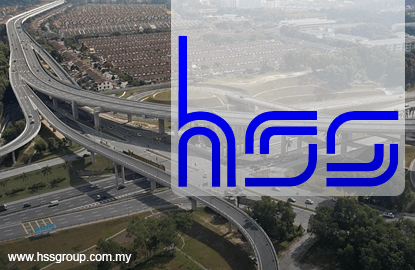 KUALA LUMPUR (June 20): HSS Engineers Bhd (HEB), an engineering and project management services provider, has signed an underwriting agreement with M&A Securities Sdn Bhd for its initial public offering (IPO) of 63.82 million shares on the ACE Market of Bursa Malaysia. Under the agreement, M&A Securities will act as the group's principal adviser, sponsor, underwriter and placement agent for the IPO. Out of the total 63.82 million new shares to be issued, 15.95 million shares will be available to the Malaysian public, 7.98 million shares will be earmarked for application by eligible directors, employees and business associates of the group. Another 39.89 million shares will be allocated for private placement to selected investors, while 31.91 million will be made available for private placement to select bumiputera investors, approved by the Ministry of International Trade & Industry. "The entire management team of the HEB group is extremely pleased to have arrived at this major milestone, with the appointment of M&A Securities as our underwriter as we believe that they bring a wealth of experience which will be invaluable throughout the IPO process. "The group is poised to enter a new phase of growth as a listed entity, backed by our established track record and forward looking business strategy," said HEB executive director and co-founder Datuk Kunasingam V. Sittampalam in a statement today. HEB operates in various segments of the construction industry, including urban infrastructure, highways, railways and airports. The group had previously been involved in landmark projects such as the Mass Rapid Transit (MRT) Line 1 and 2 and the West Coast Expressway. It operates from three main offices based in Kuala Lumpur and Penang in Malaysia, and Chennai in India.